The team at Code Audio Visual are specialists at corporate conferences and large events, which are a great way to deliver your message. We provide the ways and means for you to get your message across to your staff or customers. We provide a full service from initial design images through to custom set manufacture, venue finding, logo manufacturing, sound, light and staging etc. 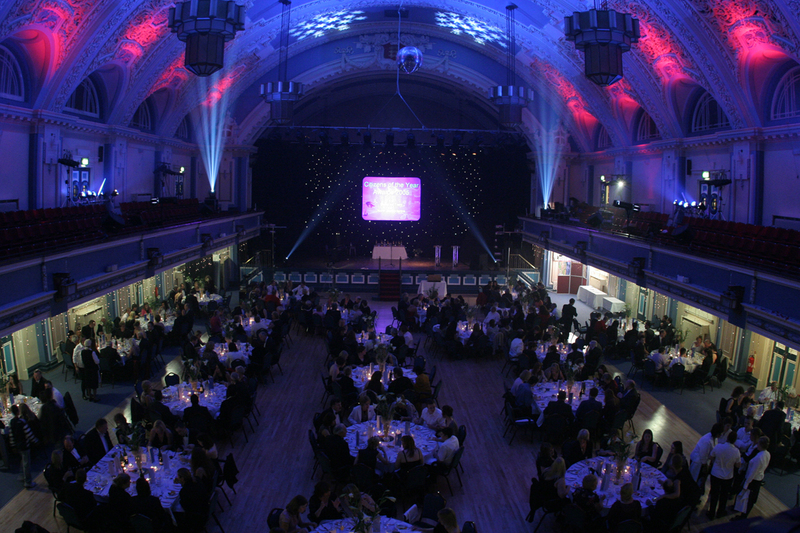 We’re also large format projection experts for big screen events. 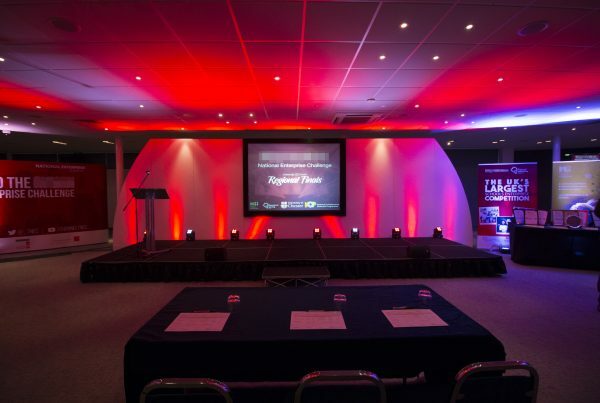 We provide a background ‘set’ incorporating a projection screen for your presentation, along with lecterns, staging, lighting, sound, and we blend all of this together to create one smooth running presentation. Just turn up on the day with your presentation and we will sort everything out for you, no worries, no problems, nice and simple. If your event requires a specialist sound engineer, that’s exactly what we supply, and the same goes for lighting engineers, vision mixers and cameramen, which are all available from us, and all with many years’ experience. This is what sets us apart from our competitors. Very often, good ‘all round’ technicians are supplied to do the event by others, but struggle when they come across a problem. That’s not the case at Code Audio Visual because we’ve been in the industry for many years. We all have experience in our specialist fields and work together as a team. 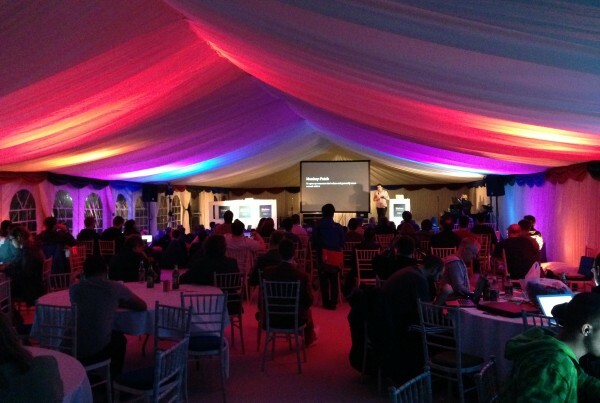 You can be sure of an excellent, well run event if it’s provided by Code Audio Visual. Code Audio Visual uses complex 3D event design software to draw your event to scale, allowing you to see how much space is left after adding in the conference set with rear projection, tables, chairs and other items. We can even draw fully-set tables with knives and forks for your evening event and provide you with a rendered image of the room before we even arrive, giving you the chance to show your colleagues what you’re planning. 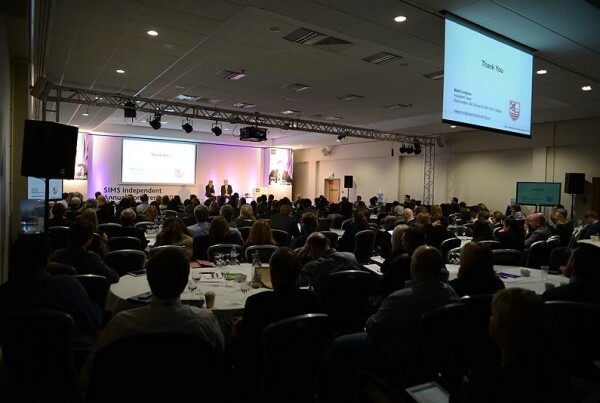 The skill of swiftly drawing a set with screen and projection, all to scale, is invaluable when working out if a room is big enough for the needs of your delegates. Or send us your details we’ll get in touch as soon as we can. 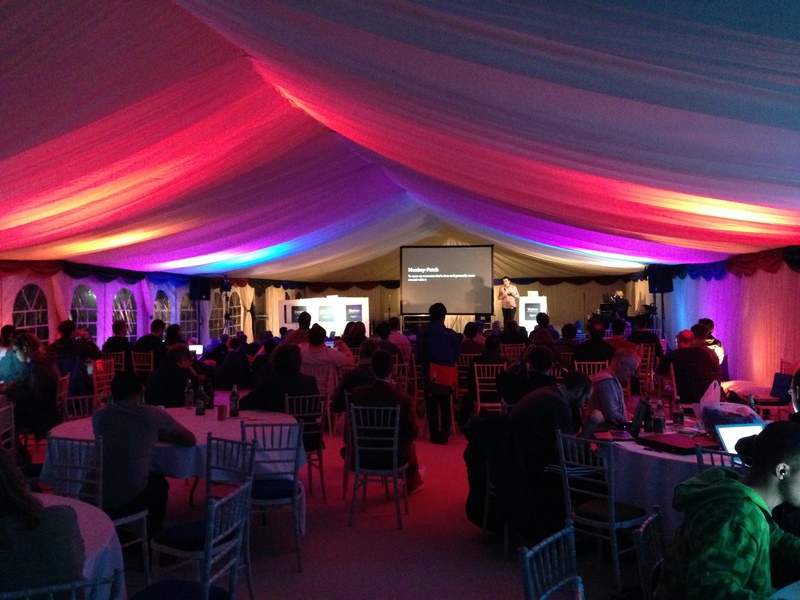 “Code Audio Visual has been fantastic to deal with. We threw everything at Code Audio Visual that day and they coped fantastically, from our music choices to last minute videos we wanted on screen. They also helped us with some of our own technology. We gave them our laptops and they took what we needed and brought it to life with great visuals and sound. I would recommend Gary and his crew to anyone who wanted a professional, friendly bunch of people who know what they’re doing and deliver what they promise. We will most certainly use them at future events.